Defrost a windshield in seconds, clean your car's underbelly, defrost locks and more. Nothing kills your morning vibe faster than one of winter's most annoying manifestations: the frozen-over car windshield. You could resort to time-consuming methods like scraping the glass or letting the engine run for a while, neither of which is ideal if you're rushing to work. But there is a smarter, faster way: Spritz on a solution of water and rubbing alcohol and thank science as you watch the ice dissolve. Pour the mixture into the spray bottle, spritz and be gone. The simple hack went viral when weatherman Ken Weathers (yes, that's his name) posted a video on Facebook. Many satisfied drivers raved about the trick online, though some sharply criticized Weathers, claiming that the solution could harm glass or paint. Weathers said he consulted with body shops who told him if you wash or wax your car as recommended, it shouldn't be an issue. And you can always wipe the mixture away. 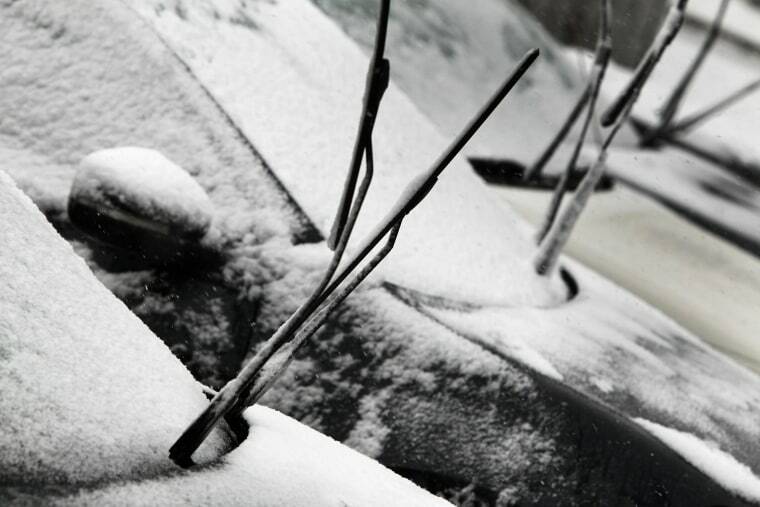 He recently posted another video with a tried-and-true tip to protect wipers: If you're leaving your car outside overnight during snowy or sub-zero weather, lift the blades off the glass so they don't stick (some drivers also prevent freezing by covering the wipers with old socks). A small dab of hand sanitizer over the keyhole will do the trick; just be sure it doesn't come in contact with the paint. There's nothing more frustrating (and potentially dangerous) than fog on the inside of your windows, usually caused by the combination of warmth and humidity inside and cold temperatures outside. Keep an old-fashioned chalkboard eraser on hand to quickly wipe away the fog. Prevent cloudy windows in the first place by using the defrost setting to blow warm air across the windshield as soon as you get in. You should also turn off the recirculation feature, so you're bringing in dry air and not just moving around moist air. If you desperately need to see out, shut off the heat completely and crack some windows — this is the fastest way to clear fog but will also leave you chilly. If you don't have an ice scraper or the handy solution mentioned above (which you can keep in your glove compartment — it won't freeze), any hard plastic card should work, though it might take a while. Not only can old socks go over your windshield wipers, a jumbo pair of wool ones can be slipped over street shoes. You might look silly, but they'll add traction if you've left your boots at home and find yourself unexpectedly needing to navigate an icy patch of pavement. Don't feel like going to the car wash? On a mild day, put a lawn sprinkler under your car. Holding it by the hose end, gently move it around to remove mud and caked-on salt.